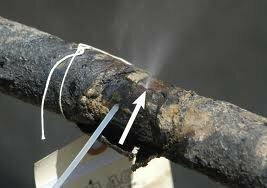 In common usage, a gas leak refers to a leak of natural gas, from a pipe or other containment, into a living area or any other area where the gas should not be. As natural gas may explode when exposed to flame or sparks, this situation is dangerous. 1. Detect leaks in automobile exhaust and fuel system. 2. Detect leaks in liquid or gas fired heating systems. 3. Safety checks at propane filling stations. 4. Search for arson residue (detects accelerants). 5. Detect fuel in marine bilges. 6. Check manholes/sewers for safety. 7. Check for cracked heat exchangers. 8. Detect solvent residue. CEN0002-382 Refrigerant Leakage Detector (With Air Pump) CEN0002-382 is a perfect tool for air-condition system maintaining. The operation interface is intuitive with button, light bar and sound. The “air sucking system” greatly help the sensitivity and response time. The “auto-reset” function can help the operator to distinguish the leaking spot among the already spreading refrigerant while maintain high sensitivity. Either Semiconductor or Infrared technologies are applied to this product family. Unlike the conventional semiconductor one, the infrared leak detector not only last longer but provide the contamination model to detect the smallest leak. Both type have 3 adjustable sensitivity levels and LET tip light. They start up with noticeable start-up melody (312/316) and easy recharged with USB power adaptor (312/316). The multiple colors LED are easy for users to identify the leak levels.